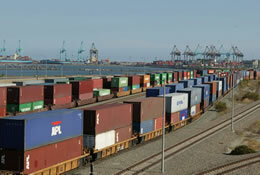 Every year, nearly 25 million containers and trailers are moved using intermodal drayage transportation. Electronics, mail, food, paper products, clothes appliances, textiles and auto parts all take a ride on the country’s intermodal network. In fact, Intermodal is growing faster than any other mode of transportation. Why? Because intermodal combines the best abilities of different transportation modes to deliver service, savings and solutions to shippers. By working together, trucking companies, intermodal marketing companies, ocean steamship lines and railroads are providing a cost-effective, seamless, reliable, efficient, safe and environmentally friendly way to move freight from origin to destination. Throughout the process, intermodal facilitators, or third-party logistics providers, arrange for each piece of the move from pick up to drop off. You do when you’re using intermodal. 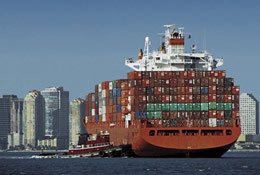 Today, all parties in the supply chain use state-of-the-art technology to monitor shipments every step of the way. With real-time information, today’s intermodal companies are keeping track of schedule changes and watching out for their customers’ shipments so they don’t have to. The days of sacrificing speed for savings are over. Intermodal transportation provides shippers with reliable, consistent service with cost savings compared to over-the-road transportation. 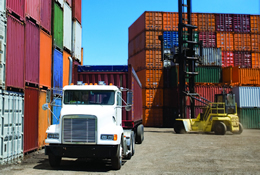 Intermodal transportation is safer today than ever before. 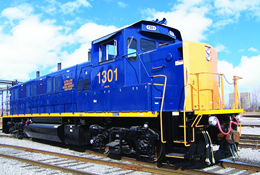 With high-tech lift technology and articulated intermodal railcars, damage to freight is minimized. According to the Association of American Railroads, in 2003 Class 1 railroads charted the lowest freight loss and damage statistics in more than 10 years. In fact, in a study done by the AAR in June 2004, the ride quality environment on the railroad is similar to the ride quality on the highway. Imagine getting 250 miles to the gallon for your SUV. It’s possible if that SUV were riding on the rails. Railroads move one ton of freight an average of 405 miles on a single gallon of gasoline. And according to the Environmental Protection Agency (EPA), railroads account for just nine percent of total transportation-related nitrogen oxide emissions while also alleviating highway congestion.